Recently at a workshop, we got talking about being business fit. It was a passionate debate and well contributed to because everyone had an opinion both on the perils of what happens when we’re not fit, along with their thoughts and tips on what to do to stay healthy, fit and focused. This discussion was driven by the fact that mental health is at the forefront of many conversations in business. Burnt out is high, everyone is under the pump and no one is immune to the toll business leadership can take. Coupled with the fact, that many of us in business are juggling multiple roles and responsibilities at work and at home. A burnout business leader is absolutely no good to anyone. So whilst there is definitely an element of selfishness to prioritising health. Being Business Fit is a must not a maybe. We cannot take our health for granted or devalue its importance when it comes to growing a business and leading a team. As importantly, we need to lead by example and showcase the importance of health to team and clients. Because there is undeniable evidence, that a business will be reflective of its leader, as its leader is reflective of the business. To name a few… this list could keep goog. Ever considered the impact of some of these has on a family, team members or the business? What about if they ripple to the customer or your clients? How business fit are you? How business fit is your team? 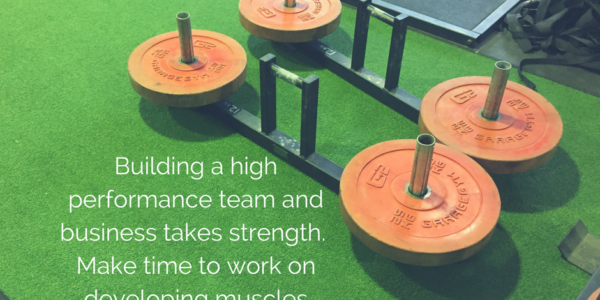 Do you prioritise fitness for the team or do you demand your pound of flesh and not care? Is it one of those conversations you mean to have, yet don’t because the day to day takes over and another week passes by? Do you have a meeting booked in to check in on a team member yet, something else comes up and that meeting gets cancelled or postponed again? Are those opportunities for being fit & healthy avoided because the budget deems them too expensive or is fast & convenient simply quicker? 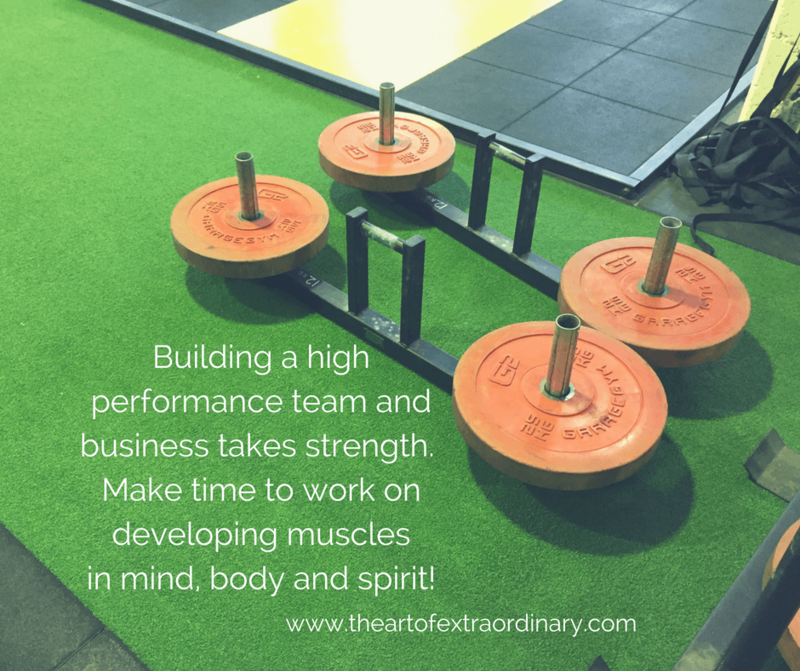 I got a heck of a surprise recently at a team facilitation, working with this team of people on their goals, personal and professional, where we were talking about being fit and fabulous for business. Yet, the food ordered in during the break was coke and pizza. These are business basics that should be a given. One of the quickest measures of how business fit your team is or isn’t, is your retention rate? Are you a churn and burn kind of business leader? Or do you look after the team so they stay? Is there enough to keep them staying? How are energy levels? What is the day to day vibe? Humming or flat? What turns up on the table at your team meetings? Do you care about what you’re encouraging them to eat and drink? Are you providing the space, the flexibility, and the environment to exercise and take breaks? One team I work with are all counting their steps and have that up on their goals board to achieve each week. Here are 7 steps to ensuring you and the team stay business fit able to manage and cope with the pressures and demands of running a successful business. Make the statement about the problem you’re solving or the opportunity you’re providing for the customers you help. Have visual, auditory or physical reminders of this purpose around you and the team, so they can be seen, heard and experienced as a reminder of why you do what you do every day. Use 1-year goals, broken down into 90-day plans with daily, weekly, monthly and quarterly tasks. Work with bite-sized tasks and projects to action. Know your project milestones and measures of success along the way. These need to be personal as well as professional and for the business. Celebrate them. Celebrate the little wins and milestone as much as the big wins. Give ample praise and recognition where it is due. Remember a thank you can take you a thousand miles. Too often people get stuck when they don’t know how to move forward or make changes, it’s easier to stay still stuck in the status quo. Change your outlook on things “Say yes and work out how.” Be brave and challenge the status quo. Talk to a business colleague, experienced friend, do your research, reach out and connect to your network, have an accountability mentor or like-minded business community. Create momentum and take action. You know the old saying, a rolling stone gathers no moss. Keep moving!! Who’s on your team to help you work out the action steps and succeed? Building a business takes a team. Surround yourself with people who know how. It’s remarkably easy and quick for our confidence to take a dive. Step into and stay in your power boots. They are really what will serve you well and help you stay business fit. Be more of those qualities you admire in others. If you can see it in others, it is already within, so be more of that. Confident, disciplined, driven, connected, present and loving. Figure out exactly how you currently do the unhelpful strategies that are not serving you or the business. Being fit in business is about being able to handle the knocks, dust yourself off and get back up. 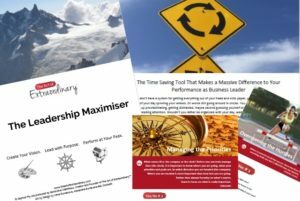 Whether it’s procrastination, doubt, overworking, not communicating, taking things too personally – whatever strategies are not serving you in the business environment or at home after hours when you lose sleep, ask yourself ‘how can I do it better or differently?’? Then make sure you re-work those strategies and do things differently! Self- awareness has to become a priority in becoming better at business leadership. Recognise your beliefs; what you say ‘I believe I can and can’t’ to’. Know your values – be clear on what’s important and your absolute priorities. They can be the non-negotiables that really matter a lot to you. Check in and ask yourself is my thinking helping or hindering my progress, the progress of the team or business? What beliefs need tweaking? Then take that self-awareness a step further, make sure you understand the thinking of others. What this looks and sounds like in terms of those innate personality variables and behavioural actions that are impacting the team and the business. Take care of your sleep, nutrition, and hydration, mental, emotional and physical activity. Look after your body, mind, and soul. Start your day already winning with exercise, meditation, reading or listening to helpful audios. Make sure you eat a healthy breakfast. And follow through for the rest of the day. All in moderation. Be mindful that when you put crap into your body, you’ll get crap out, it is that simple. If you want to be fit and healthy, then that’s what goes in – really needs to echo that desire in practice. Finish the day with gratitude, music, limit technology and surrounds yourself with people who make you smile and bring out the best in you. Be fit, be healthy, be better at business leadership.